Published by Medical Information Technologies, s.r.o. Save a Life! The Záchranka mobile app is an easy way to contact the Emergency Medical Services when you need them most. It sends your exact location and other practical information used for your rescue. Help in the right location. Know where you are and what's around you. 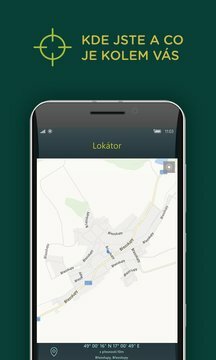 The Locator function shows your exact GPS location and the nearest automated defibrillator, ER, dental clinic, or pharmacy. The app clearly displays points of interest with the option to quickly navigate to that location. First Aid help when you need it most. Giving first aid before the emergency services arrive greatly increases a person’s chances of survival. The Záchranka mobile app gives you help and support with its interactive guide, which takes you through the most important steps in a simple and intuitive way.